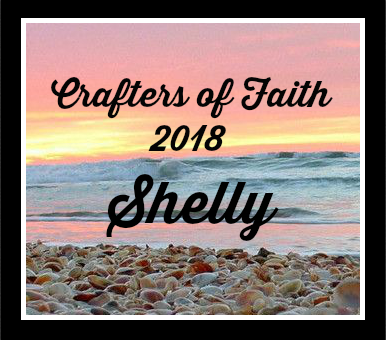 It's the 9th- time for the Crafters of Faith monthly post. Though one may be overpowered, two can defend themselves. One of my favorite passages in the Bible is Ecclesiastes 4:9-12. It reminds me that God did not create us for isolation. He wants us to connect with other believers. 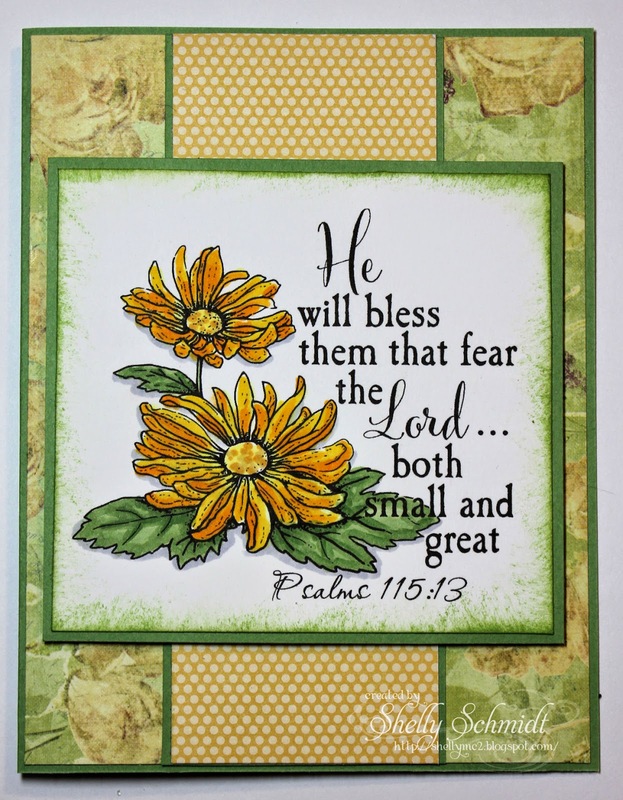 There really are many applications found in these four verses, but for the purpose of this month’s challenge, I would like us to focus on Christian friendship and create a card (or scrapbook page, etc) that focuses on friendship. 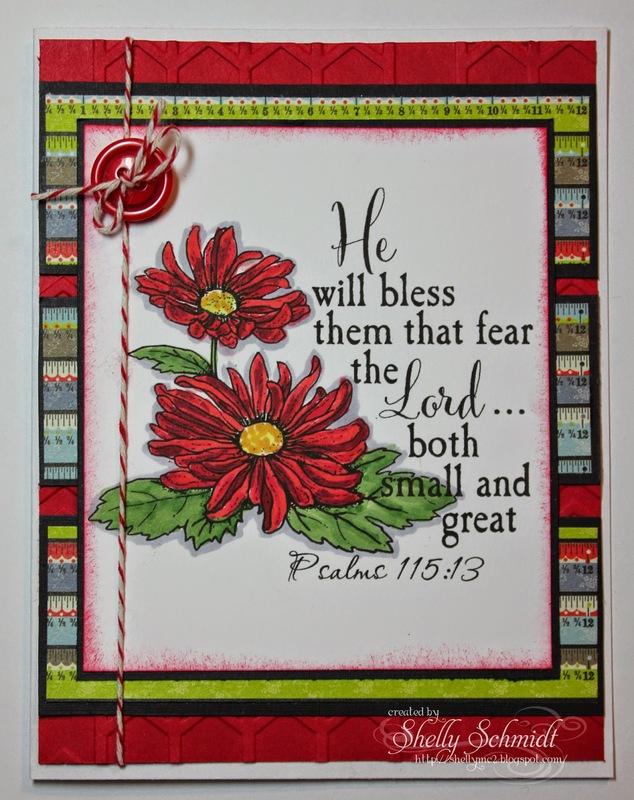 As an extra challenge, in your blog post please tell us about a special Christian friend who means a lot to you, and then, if possible, mail your card to that friend. What things encourage you choose to connect to another person? I am fortunate that I am from a large family and really enjoy being in groups- I love belonging to groups and I also enjoy being alone- like I am when I am making cards. I have met many ladies in my creative journey of sewing/smocking/embroidery and paper crafting that also share similar beliefs. 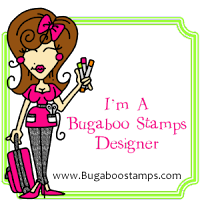 And, on Splitcoaststampers, I found a group that has at the center of its group- faith. It is a wonderful group of ladies and I look forward to the monthly cardmaking and thinking about the themes of the week. Kelly is the wonderful lady that started this COF group- she has a big heart, full of love and is so warm! Thank You my dear : ) I truly appreciate meeting all of these ladies because you took the time and energy to begin this group. So, for my challenge, I printed out 4 copies of an image from Create with TLC. I had fun coloring the images with Fall colors. I do not usually go for yellows, but I LOVE this Prima Botanical DP and love the way the flowers look with the yellow and green combination. This uses the MoJo Monday Sketch 362 - turned on its side. The DP is from Basic Grey Euphoria, and the cardstock is Cherry Cobbler. Ribbon is SU. This DP is SOOOOO old! I bought it 5 or 6 yrs ago at the first Wilton Baking sale I ever attended. It is labeled KC&Co. BW Mira. Have a Blessed Day! Thanks for stopping by! these are gorgeous. i just finished reading Ecclesiastes and found it to be like Romans.... how we should live or try to live our lives. Oh my goodness... these cards are all so stunning, Shelly! WOW! I love the image you used - it's perfect for the theme. And as always, your coloring is amazing! I'm so glad you are a Carrier of Faith! All of these are gorgeous! Love how you used the same image on each and every one of them is so different (and beautiful). They're all so beautiful I couldn't choose one over the other! Fantastic image and a great job on all of them. I would take my hat off to you if I was wearing one! LOL! I can't believe how many challenges you were able to do!!! Love the image and your beautiful coloring! I appreciate the time yo take to visit and comment! You help keep me going!!! Such lovely card creations - nice job! Looks as though you have a lot of friends to be making so many cards Shelly - and they are beautiful cards too. Love that image and quote - and all the variations you have shown. 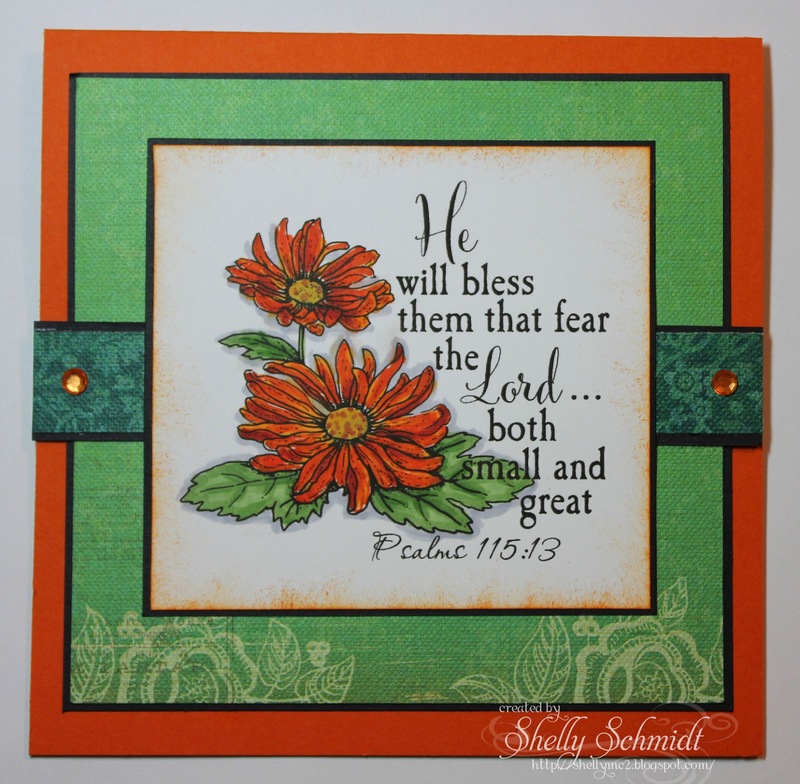 Beautiful cards, Shelly, with a wonderful message. Love the different color combinations, but each one still equals one gorgeous card! Love these! Your cards are gorgeous. I try to send my sister inspirational cards with religious quotes on them because she has a very hard life and needs an uplifting moment. You are blessed to be from a big family. Your cards are gorgeous, particularly the red one. Wonderful cards Shelly! I just love how they all look so different even though you have used the same image. Thanks for joining in with us at Sketch N Stash. Oh, so beautiful! I just love the color palette and the wonderful blending of stamped image, patterned papers and ribbon! Thanks for sharing with us at Really Reasonable Ribbon! 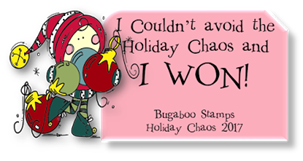 Shelly--these cards are wonderful--each one better than the one before it. I love the sentiment! Great cards! Thanks so much for participating in our Really Reasonable Ribbon Challenge. Great ideas! Thanks for joining us at RRR! These are beautiful! I love how you did them in the different colors. Thanks for sharing at Hiding in my Craftroom! A lovely card. Thanks for sharing with us at Crafting Musketeers. Lovely to see how great these pretty florals look in the different colour combos. Great image and colouring too!! Wonderful Fall cards!! Fantastic use of the same stamp to get the three different looks. Love them. Really gorgeous creations and all so beautifully coloured. Thanks for joining in with my MMM Indian Summer challenge.